Reading Time: 1 minute VeeamON is the big event from Veeam (actually only in the US) and VeeamON Tour is usually a smallest (one day) event around the world. But on November 22 there will be also a VeeamON Tour Virtual event: coming right to your desktop, an event on the future of Availability. Reading Time: 2 minutes Veeam Backup & Replication v9.5 and Veeam Availability Suite 9.5 are finally in GA and available for the download! NEW Veeam® Availability Suite™ 9.5 build (9.5.0.711) is NOW AVAILABLE for VMware vSphere and Microsoft Hyper-V! Veeam Availability Suite includes both Veeam Backup & Replication™ and Veeam ONE™ and is part of the new Veeam Availability Platform for the Hybrid Cloud. 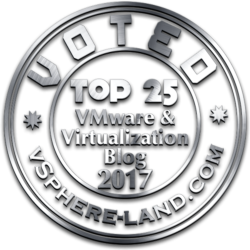 Reading Time: 1 minute After the official announce at the last VMworld EU, finally VMware vSphere 6.5 is now GA and available for the download. There are several news in the Web client, in new vCenter, in the availability, in VSAN 6.5, in the new security features, new scalability and lot of other stuff. 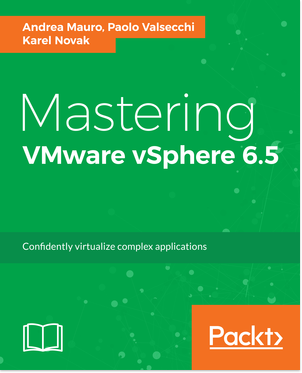 Reading Time: 3 minutes The new VMware vSphere 6.5, recently available in GA, increase all configuration maximums to new limits (compared to the 6.0 and previous versions). Maybe we can say with no limit, or at least, to be serious, with really huge numbers compared to the actual needs and the existing compunting power. Those new limits are both for scalability aspect, but also to fit with possible performance requirements, considering that a bigger number of business critical applications are going in the virtual environment. 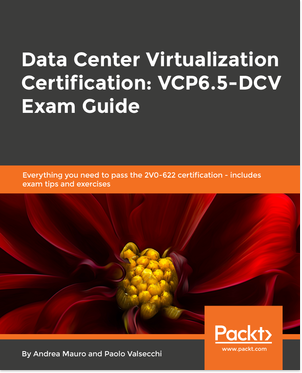 For more information see the official docs Minimum & Maximum for VMware vSphere 6.5. What’s happened during .NEXT 2016 Europe? Reading Time: 4 minutes The first European edition of Nutanix .NEXT Conference is over… So which news are coming from this event? First that there are enough numbers to make good European conferences, not only in the US… Several vendors already know it (see VMware with VMworld, but also NetApp and HP, to make some examples), but others does not bet on this region (see Citrix or Microsoft). There where a huge number of attendees, more than the expect number from the Nutanix. That’s a good sign for the future. Reading Time: 1 minute Broadcom has announced a definitive agreement under which it will acquire Brocade merging networking with storage competency to build stronger company. Broadcom believes the SAN business is a strong complement to its portfolio of enterprise storage and networking solutions, also with the grow of converged storage solutions. Due to competitive overlaps, Broadcom plans to divest the IP Networking business. Brocade’s intention is to assist Broadcom in finding a buyer that will continue to invest in the strong portfolio that Brocade created.